Are you experiencing foot or ankle pain? Is it painful to walk, run or go up and down stairs? 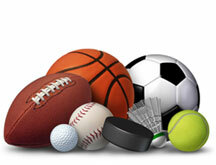 Is ankle or foot pain preventing you from participating in sports, or exercise? You are not alone! Ankle and foot pain are very common and can be caused from a variety of sources. No matter what the cause, the effect is that it stops you from doing many things that you enjoy! Stepping down to take your first step in the morning can be excruciatingly painful. Sitting on the sidelines while your team plays without you can be plain frustrating! 1. Ankle sprain: This happens when you roll over on your ankle. Once it has happened once, it can happen over and over again unless you get it treated by a physiotherapist. 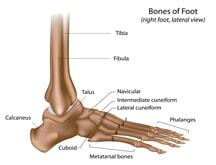 Your foot has something called proprioceptive fibres in the ligaments of the ankle. When you roll over on your ankle, these fibres are disrupted and no longer send an accurate message to your brain to tell you when you are falling off balance. This allows you to continue to roll over on your ankle with no warning message from your body to protect you from further injury. In some cases after repeated ankle sprains, you can sustain an ankle fracture the next time as your ankle can go over further and further with no warning. Your physiotherapist can teach you some very simple exercises to retrain these proprioceptive fibres- allowing you to stay safe after an ankle sprain! 2. Stress Fracture:These fractures are often not seen initially on X-ray. They can cause significant pain that is hard to diagnose. 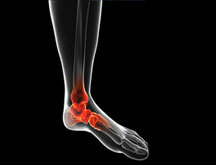 They can be caused by repeated stress on the foot or one incident of unusual stress on the foot or ankle. These are typically diagnosed by a bone scan after a thorough assessment by a physiotherapist to rule out other causes of the pain. 3. Arthritis:The joints of the ankle and the foot are common sites of arthritis as they are the weight bearing joints of the body. Swelling and stiffness may accompany a diagnosis of arthritis. 4. Gout: This is a more unusual diagnosis of ankle or foot pain. It is caused by an unusually large accumulation of uric acid in the ankle or foot area. It causes burning pain and can come on quite suddenly. The ankle and foot may feel very sensitive to touch with this condition. 5. 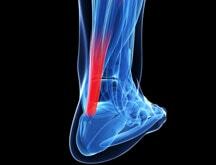 Achilles Tendonitis: The achilles tendon connects the large muscle of the calf to the heel bone. Tendonitis of this tendon can occur with overuse of the calf muscles especially during running, walking fast, jumping and other exercise activities. It may be exacerbated especially if you have poor foot posture such as excessive pronation of the foot. This causes excessive and uneven wear and tear of the achilles tendon during activity. 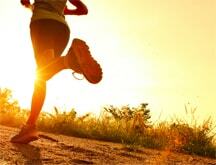 If this is a cause of your condition, proper orthotics and physiotherapy will often assist with a rapid recovery. 6. Plantarfasciitis: Plantarfasciitis is caused by inflammation of the connective tissue under the foot. It can be exacerbated by poor foot posture such as overpronation of the foot causing uneven wear and tear of the connective tissues. 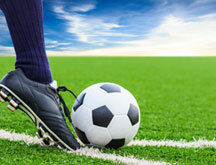 One possible solution may be customized foot orthotics. This condition can be extremely painful and long lasting. It typically requires a period of rest from weight bearing exercise/activity and “hands on” physiotherapy with ultrasound and other modalities to facilitate optimal and timely recovery. 7. Bunion surgery: This is a very painful surgery and a painful recovery. Typically, the best recovery is achieved with a very “hands on” approach with a skilled physiotherapist. Our physiotherapists are trained to work out the pain in your foot and get you back to your normal life as quickly as possible. Foot massage is very helpful and can make a world of difference. The surgeons often don’t tell you about this after your surgery. 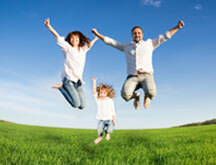 We have helped many, many patients just like you with this type of treatment. It helps immensely! 8. Morton’s Neuroma: This is an inflammation of the nerves between the toes of the feet. It is often caused by a fallen metatarsal head and exacerbated by wearing high heels. No matter what the cause of your ankle or foot pain, it can be debilitating. We all need to use our feet to get around and anything that causes pain can affect our mobility. Our physiotherapists can thoroughly assess the cause of your ankle or foot pain and tailor an individualized treatment plan for you to quickly get you back to your normal activities!